Benjamin Torres is the President and Chief Executive Officer of the Community Development Technologies Center (CDTech). CDTech is 501 (C3) non-profit focused on addressing issues of community and economic development in low-income areas of Los Angeles through a social justice lens that empowers residents and communities to rebuild them. Mr. Torres worked side-by-side with Dr. Denise Fairchild (previous President/CEO) over the past eight years to (1) build the Community Planning program at LA Trade-Tech College; (2) lead CDTech’s comprehensive community initiative in Vernon-Central; and (3) provide leadership to our Working Democracy Division as Vice President. He is recognized as a major social justice leader both locally and nationally through his extensive background and work in developing grassroots and youth leadership, school and community partnerships as well as shaping community benefits agreements. He was instrumental in bringing the Public Allies program to CDTech, to build out the leadership and nonprofit workforce development pipeline in our underserved communities. 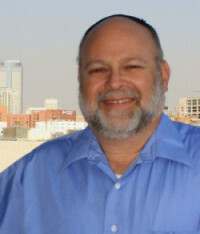 He is a faculty member and Director of the Community Planning Program at Los Angeles Trade Technical College. In this capacity he has been responsible for the strategic planning and day-to-day management of the certificate and associate degree programs in community planning. 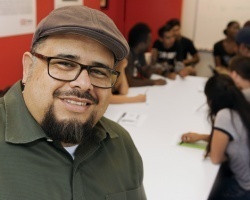 He has ten years of experience teaching, curriculum design, student and faculty development and support at LATTC and is responsible for overseeing community outreach and student community service activities. 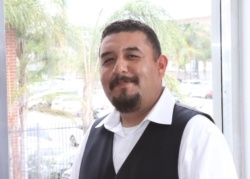 He has utilized creative solutions to bring non-traditional students into the college and developed bilingual programs to provide courses for groups like the promotoras de salud and other immigrant communities of South Los Angeles. His relevant prior experience includes two years at the Multi-Cultural Education Consortium in Santa Barbara where he developed and coordinated a project to diversify public school faculty and curriculum in the secondary school district and implemented Chicano/Latino and African American studies courses. He was the Youth Leadership Director for La Casa de la Raza in Santa Barbara. A program designed to teach youth community organizing and leadership training to address issues impacting at-risk youth. Most recently, from 1997 to 2002, he served as project director for the MultiCultural Collaborative Community School Initiative program in the Watts community of Los Angeles. He developed programs in the area of community capacity building and leadership development and served as technical assistant and trainer to their community outreach efforts with an emphasis on building grass-root African American and Latino leadership cadres. Mr. Torres holds a bachelors degree from the University of California Santa Barbara and is completing his Masters degree in Community Economic Development from Southern New Hampshire University. 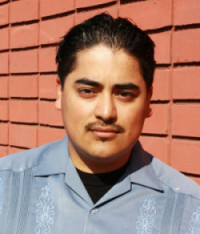 He is committed to building leadership capacity in South Los Angeles and serves on the Board of Directors of key organizations; Strategic Action for a Just Economy (SAJE), Strategic Concepts in Organizing and Policy Education (SCOPE), Figueroa Community Land Trust and the For Chicana/o Studies Foundation. Benjamin lives in Echo Park, where he proudly grew up and lives with his long-time partner Juana Mora and his daughters Aurelia and Camila Valentina. Kristine Williams is the Vice President for Strategic Initiatives at the Community Development Technologies Center (CDTech). 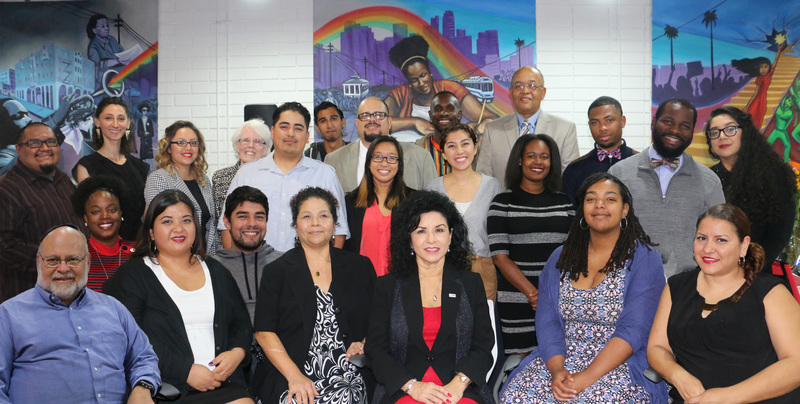 CDTech is an innovative community economic development organization working in strategic partnership with Los Angeles Trade-Technical College, the LA Community College District, grassroots leaders and community institutions and organizations to build livable and economically viable neighborhoods in LA’s underserved communities. Prior to joining the CDTech team in 2007, she was part of the United Way system for 17 years, helping to build the capacity of two United Ways to achieve community-level impact both in the rural areas of northern Arizona and across Los Angeles County. She approaches community development work from an integrated perspective of funder, fund raiser, program designer/implementer and administrator. She holds a Masters degree in Applied Sociology from Northern Arizona University and has worked in the community building field for over 35 years. 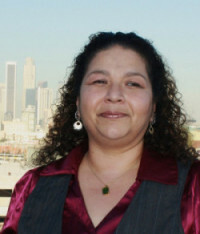 Yvette Nunez is Sr. Program Director for Business and Economic Development at CDTech. For over 20 years, Nunez has held a variety of positions at CDTech including Director of Operations, and the lead for the Los Angeles Manufacturing Networks Initiative (LAMNI) and the Green Urban Manufacturing Initiative (GUMI). She also served as the Executive Director of the Food Industry Business Roundtable (FIBR) and the Toy Association of Southern California (TASC). Her current focus is with local South Los Angeles Small Businesses providing them with resources and economic opportunities, education on the local landscape and the impact of gentrification. Nunez is also involved in the implementation of small business provision of various Community Benefits Agreements and Workforce Development Initiatives. Nunez has extensive Government and Non-Profit Experience. Before joining CDTech, she worked for RLA (Rebuild L.A.), a non-profit Los Angeles Riot Recovery agency and has served under former Mayor of Los Angeles Tom Bradley, U.S. Senator Alan Cranston and U.S. Secretary of Commerce, Ron Brown. Nunez also worked at Cordoba Corporation, a nationally recognized engineering, program and construction management firm. Formerly, she served on the Board of Girls and Gangs, as a member of the Steering Committee for the Ca Association of Environmental Health Administrators, Safe, Secure and Sustainable Food Systems Symposium, on the Legislative Affairs and Environmental Affairs Committees of the California League of Food Processors and as an Advisory Board Member for the Dorsey Culinary Arts Program. Ms. Nunez was a partner and operator of a South Los Angeles Café, Bakery & Market Place for two years and the Chef at the Oso Ranch and Lodge in New Mexico for 10 years. Nunez brings her Culinary and Entrepreneurial experience to her role at CDTech. Susy Coracero has worked in the public, private, and non-profit sectors, she understands the importance of civic engagement to build healthy, safe and empowered communities for the past 13 years. Her current responsibilities at CDTech include overseeing place-based initiatives in Vernon Central and Vermont Square communities in South Los Angeles focused on economic development opportunities. She is responsible for overseeing the civic engagement work, community service learning projects and internships for students in CDTech programs. She is also committed to building leadership capacity in South Los Angeles as a Adjunct Faculty of the Community Planning Program at Los Angeles Trade Technical College. She was born in Compton and proud daughter of immigrant parents. She attended Jordan High School in Watts and holds a bachelors degree from the University of California Santa Barbara with a double major in Sociology and Chican@ Studies. 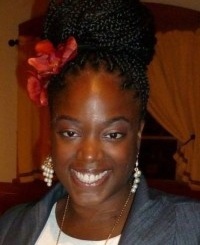 She received her master’s degree from Claremont Graduate University in Education with an emphasis in Higher Education. Frank demonstrates CDTech’s value for community in the work he has done to advance the leadership of community members. Since he graduated as a Public Ally in 2005 and worked to achieve a ComPlan AA Degree, Frank prolifically worked towards empowering youth from the most disadvantaged neighborhoods. 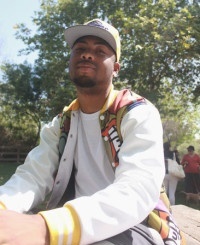 He was a founding organizer of the Youth Justice Coalition, a Youth Development Specialist, a Mentoring Director, and Regional Coordinator for YouthBuild and Senior Community Organizer for LAANE. He was also a founding Board Member for Leadership through Empowerment, Action and Dialogue. 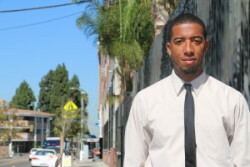 Before joining CDTech Frank served as Associate Director of South Los Angeles YouthBuild with the Coalition for Responsible Community Development. Shelia Balque is a proud resident of South Los Angeles. 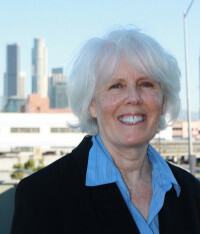 As Program Manager of Education and Career Pathways at CD Tech, her responsibilities include co-managing Public Allies Los Angeles and being the lead for student and admin support for the Community Planning & Economic Development program at Los Angeles Trade Technical College.Shelia is also a proud graduate of Soka University of America (B.A. 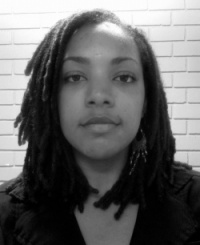 Liberal Arts, 2010) and is an alumna of Public Allies Los Angeles (2011-12 2012-13) and the Community Planning Program (class of 2016). Daniel Johnson is a Los Angeles California native currently residing in South Central Los Angeles. He is an alumnus of the YouthBuild, AmeriCorp, Front Line Leaders Academy and Public Allies programs. With his background in leadership development, fundraising, advocacy, communications, event planning, public speaking and facilitation; he is committed to strengthening community through volunteer efforts and civic engagement. He is passionate about connecting people, organizations and ideas in ways that increase collective impact. Daniel currently attends Los Angeles Trade Tech College. He is interested in supporting efforts that help his peers achieve long-term success. He is currently serving as President of the Zapata-King Neighborhood Council. With his passion for Black and Brown unity, Civic Engagement and becoming the voice for under-served communities, he aspires to be an elected official. Steven was born in California and lived most of his life in Watts. He is the second oldest of nine children in his family. He completed a one year nonprofit apprenticeship through AmeriCorps VISTA with Venice YouthBuild and two successive 10-month apprenticeships at CDTech through the Public Allies AmeriCorps program. Steven has become a powerful leadership development mentor for South Los Angeles high-school aged youth and young adults through both of these programs. Many of the Youth he has supported are now attending college and one was recently accepted into the Public Allies program, placed at CDTech. Trained in canvassing and community engagement through his Public Allies apprenticeship at CDTech, he developed expertise in coordinating the ACA outreach and education efforts to over 5,000 residents of Vernon Central and the Vermont Square. Based on his demonstrated leadership in the community relations field work, Steven was recently hired by CDTech as a Community Engagement Program Coordinator for the neighborhood-based outreach and education work of the organization. Steven is a strong, respectful and responsible leader committed to making a change in South Los Angeles and other communities of concentrated disadvantage. Throughout the struggles he has experienced, he learned how to take action, get his voice heard and be a leader, and most of all, how to be a team player. Steven values the community, unity and hard work and he passes these values onto the youth that he trains, mentor and engages in the neighborhood-based outreach and education work. From program participant to Program Manager, Kim Williams has committed almost ten years of service to Los Angeles communities through her work with CDTech and the Public Allies Los Angeles program. She is particularly passionate about ensuring South LA Residents take advantage of the training and learning opportunities offered by CDTech and it's partners, and is thankful to have a space to continue her professional learning and growth while doing work that empowers her community.